We are Newport & District Funeral Directors, professional funeral care providers in Newport, Telford. We are honoured to have our local families and those in our surrounding areas like Longford, Edgmond and Chetwynd Ashton trust us to take care of their loved one and provide a funeral service that resonates well with the memory of their loved one and their family heritage. You, your family and your loved are our top priority. We will take care of your loved one with respect, arrange the funeral service exactly the way you want, whether that is a cremation, religious funeral or contemporary service and ensure all personal touches like flowers, donations or any special requests are in place. We will go through every step, explain all options clearly and make sure everything is organised to your liking. You can contact us at any time, day or night. So do not hesitate to contact us at any time. We are a two minute walk away from Newport Post Office on Upper Bar Road. Our staff are available 24 hours a day on 01952 820667 if you require our services outside of these hours. A first-class, caring but also highly efficient service was provided from initial enquiries to the actual funeral service itself, which was very much appreciated by myself and my family at such a traumatic time. Most highly recommended. Thank you for sharing your experience with us on your online review. I am pleased that we provided the highest level of care and guidance for you and your family and that we were able to help make things easier for you at such a difficult time. Sympathetic staff who treated us in a very friendly manner. They were able to help us in all aspects of making the arrangements for a difficult day, from florists to printers. Thank you for sharing your experience with us on your online review. I am glad we were able to provide you with the support and guidance needed and that we were able to help make things easier for you at such a difficult time. Thank you for posting your review online. I am pleased that all of the arrangements were carried out to your satisfaction. The whole experience from the start was professional and personal. Amanda, Alison, Laura and Mark handled everything with such empathy which made arranging my son's funeral in such tragic circumstances that bit easier. Thank you for taking the time to send your online review to us. I am pleased that you were so well looked after by our team and that we were able to help make things easier for you at such a difficult time. Thank you for posting your review online. I am pleased that we were able to look after you at this difficult time. Friendly, supportive and understanding. Provided clear and informative information on services avaialble. We were kept up to date with progress at all times. Thank you for taking the time to complete the online review. I am pleased that we were able to look after you and your family at this difficult time and that all of the arrangements were carried out to your satisfaction. Excellent service. Staff very professional. Thank you for posting your online review. I am pleased that you were so well looked after by our team and that all of the arrangements were carried out to your satisfaction. 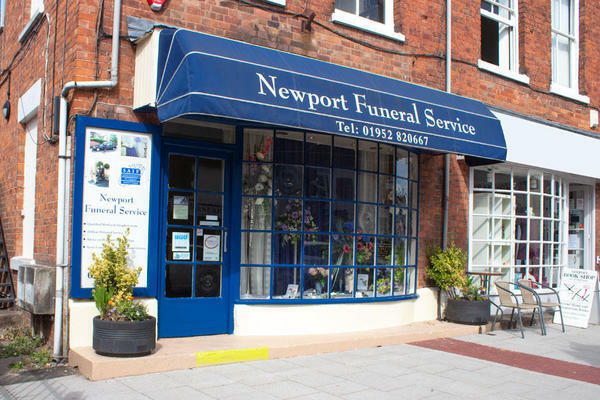 I found Newport and District Funeral Directors very helpful and understanding. They did not press us to make instant decisions about the funeral arrangements. We were able to take our time to ensure that everything was carried out in accordance with our wishes. On the day of the funeral everything went very smoothly and we didn't have to worry about anything. Although, obviously, it was a very sad occasion I wasn't left thinking it could have been handled better. Thank you for sharing your thoughts with us on your online review. I am glad we were able to provide you with the support and guidance needed at this difficult time, and that all of your wishes and requirements were carried out by the team as you had requested.